Judging someone without knowing anything about the person is like predicting a tsunami in the Sahara desert. Judgement means to make or announce a calculated decision or form sensible opinions. Judgement basically refers to an opinion or conclusion. Judgements in a more general form; refers to the decision made by a judge in the court. Judgement day is the last day of making the judgement or announcing any decision. Susan Sontag had once remarked, "Any critic is entitled to wrong judgments, of course. But certain lapses of judgment indicate the radical failure of an entire sensibility." 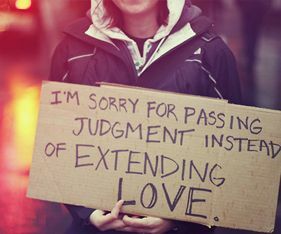 As normal human beings, prone to error and folly, we have no right to pass judgement about others and their actions. We have courts and the judiciary to pass judgements and punish criminals who indulge in misdemeanour, felonies and all sorts of wrong doings. According to Belwa Lockwood, "If nations could only depend upon fair and impartial judgments in a world court of law, they would abandon the senseless, savage practice of war."